Clown vibes spotted in town. 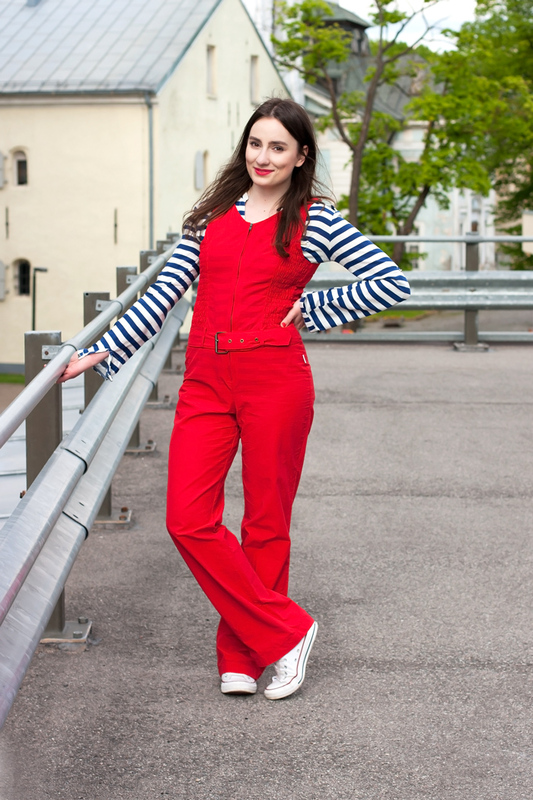 Starting the Summer lookbook with an outfit filled with fun, colors and foolishness. Perfect for the state of mind I currently feel like after turning 23. Or maybe it's just this Summer feeling that makes me go foolish. Looks like the sun-filled season has already affected our little furry friends, aka cats, who keep lying everywhere they want, or better say everywhere where sun can catch them, enjoying pleasant sun rays and without paying any single attention to humans. Well, I spotted the one who was lying in the deeply green grass right by the sidewalk and even welcomed photos by striking a pose. Now who said people can't be affected by such an anticipated sunny weather? We do. And maybe even in greater sense than little furry friends. The last ones have nothing to do but to flaunt their fur to sun. People still have to deal with clothes. The majority of people, I guess. End of Spring and Summer is the time when all creativity bursts out. Neons come together with florals, pastels come all alone, super contrasting prints come together in yet unseen by many combinations, and transparency, a lot of transparency and minis. And I can't even say anything bad about it all. See, after half a year of black and grey army in the streets of the town it's so good for ones eyes (my eyes) to see such a splash of colors, and emotions in a sense. And, to be totally fair, after coming out with such a funny, clown-y combination I can't blame any single soul for opening their inner freak to the world kissed by sun. Overalls. Dungarees. You name it. But it's still here and it's still big. Why would you ask. Probably because it combines several advantages at a time. Comfort? Yes. Simplicity? Yes. Trendiness? Also yes. It's a perfect mix of comfort and trendiness. Which one of us wouldn't fall for a fashion item that doesn't ask you to give up on such a thing as comfort. So the above said kind of explains why I finally went into a dungarees stage. Can't escape but point put that these dungarees have a special thing about it - the color. One of my all time favorite colors. Power red. 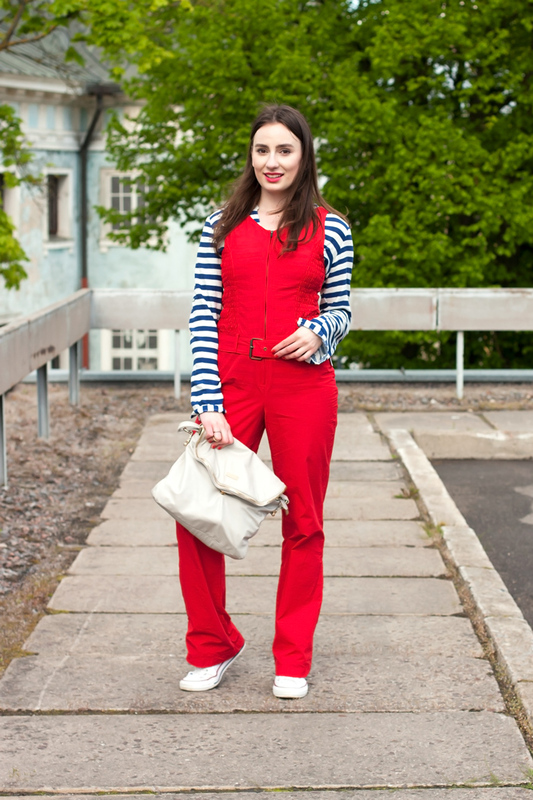 Navy striped shirt, pair of white Converse and soft handbag happened to be perfect partners in crime for this 'red devil'. A bit more of red details, like Dior Addict fluid stick, and all set. Ready for a casual walk around the sun kissed town!